A preliminary conference on the proposed unification of Southern and Northern Rhodesia, together with Nyasaland (Malawi), was held at Victoria Falls in 1947. A series of conferences were held in London during 1952/3 where the three African countries, with negotiators from the British government, finally agreed a complicated federal structure. The Federation of Rhodesia and Nyasaland, also known as Central African Federation (CAF), came into effect on 1st August 1953. Under the Federation, Northern Rhodesia, and Livingstone in particular, benefited from the experienced publicity knowledge of their Southern Rhodesian counterparts. Unified tourism information brochures publicised both sides of the Falls and the services available on each side of the river. A guidebook published by the Southern Rhodesian Public Relations Department promoted the Federal Tourist Centre in Livingstone, where “the Federal Tourist Officer and a competent staff are available to give assistance to visitors” (Southern Rhodesia Public Relations Department, c1955). Tourism infrastructure on both sides of the river had been developed to cater for independent travellers arriving by road. 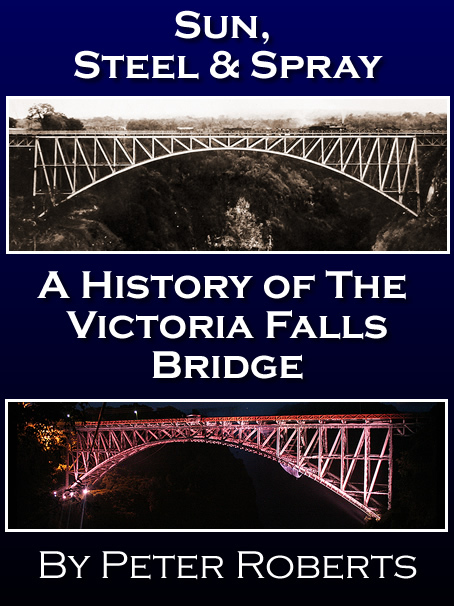 Another significant development on the northern bank was the formation of the Victoria Falls Trust, to oversee the preservation of the physical environment of the Falls from ecological damage and to encourage tourism, on 15th March 1954. Members were from the Livingstone community and appointed by the Governor of Northern Rhodesia. The wider area was de-gazetted as a National Monument but several smaller archaeological sites within the reserve were declared as National Monuments. The Historic Monument Commission continued to oversee the conservation and management of the Falls whilst the Trust concentrated on tourism management. The work of the Trust included overseeing the development and management of Rest Camp and Camping Site tourism facilities on the site close to the river above the Falls, which now offered 36 self-catering chalets for visitors. In addition the Trust oversaw the development of tourism attractions such as the Maramba Cultural Village and the Livingstone Zoological Park (later the Mosi-oa-Tunya National Park), opened in 1955. The period saw rising tourism arrivals to the region, with 43,000 arrivals recorded for Livingstone in 1955 and over 47,000 in 1956, a fifty percent increase since 1953 (Economic Survey of Livingstone, 1957). On 16 November 1955, a ceremony was held to commemorate the centenary of Dr David Livingstone’s first arrival at the Falls. In attendance at the ceremony and staying at the Falls Hotel was Dr Hubert Wilson, Livingstone’s grandson, and Miss Dianna Livingstone-Bruce, his great grand-daughter. “On the occasion of the centenary of David Livingstone’s discovery of the Victoria Falls men and women of all races in, and from all parts of the Federation of Rhodesia and Nyasaland assembled solemnly to dedicate themselves and their country to carry on the high Christian aims and ideals which inspired David Livingstone in his mission here. Boat trips to Livingstone Island took guests to the very spot where Livingstone first saw the Falls, and some still claimed to know the tree upon which he carved his initials. The disputed ‘Livingstone Tree’ was still standing into the mid-sixties, and even featured in a BBC television series on the Zambezi made in 1965 by a young natural history presenter, David Attenborough (later Sir David). Another ‘Livingstone Tree,’ located upstream at Sesheke, and under which Livingstone camped, had blown down in storms the previous year (Attenborough, 1965). The extensive commercial development of the Falls envisaged by Leopold Moore fifty years earlier in the pages of the 1907 Christmas issue of the Livingstone Mail were thankfully still unrealised fantasies - although it could be argued he painted a realistic picture of the Falls today, over a hundred years later. A small visitor information centre was developed at the entrance to the Falls on the south bank, curiously showcasing the construction of the Kariba Dam. A chain-assisted path (known as the Chain Walk) descended down the western end into the gorge, enabling the visitor to experience the power of Devil’s Cataract. Above the Falls a canoe could be taken to Cataract Island, for the fee of one shilling, return. Or the visitor could walk further along the riverbank to the Hotel Boat House, where tea was served on the banks of the Zambezi. Back at the Hotel scenic flights over the Falls could be booked for the price of 25 shillings. Whilst the period saw declining numbers arriving at the Falls by rail, there were growing overall visitor totals to the Falls Hotel with numbers boosted by increasing aviation arrivals. In 1957 the Hotel recorded over 21,000 visitors, staying an average of just over two nights, at the time a record for the Hotel. The growth of motorised transport and development of local road infrastructure paved the way for a more flexible method of local transportation for visitors around the Falls and the local trolley system was eventually decommissioned. The decommissioned 45 lb (20.4 kg) rails were acquired by the Gwelo and District Light Railway Society and used to build a short two kilometre local track. In 1957 and 1958, during the construction of the Kariba Dam, the Zambezi experienced unprecedented seasonal floods. In March 1957 the rising waters flooded part of the Power Station in the Gorge. “In 1957, however, the river rose higher than ever known before and reached, on the surge, a height of about 11 feet above the level of the floor of the power station. All the windows by that time had been bricked in and practically all the main doorway was bricked in and reinforced with sandbags. No one knew how long the building could withstand the tremendous buffeting of the high waves of the Zambezi in spate and the power station staff with pumps going night and day cleared the building of water as it seeped in through many places in the walls. Access was gained by a temporary bridge of two steel pipes which swayed and swung as the mighty surges of water swept around the building like gigantic rollers on the sea shore. A protecting wall was constructed against a possible repetition but was still incomplete when the 1958 floods came, and the station was again seriously flooded. Above the Falls on the northern bank of the Zambezi a stone monument erected by the National Monuments Commission marks the highest recorded level of the Zambezi in March 1958. On the south bank the barrel boom below the Hotel landing stage, installed to reassure passengers and act as a safety barrier in event of mechanical problems, was washed away in the floods (Woods, 1960). The Kariba hydro-electric dam was constructed between 1955 and 1959 at a cost of $135 million, creating the largest man-made lake (by volume) in the world - holding an estimated capacity of 180.6 cubic kilometres of water - a title it still holds to this day. The formation of the lake displaced an estimated 57,000 Tonga people living along both sides of the river valley. 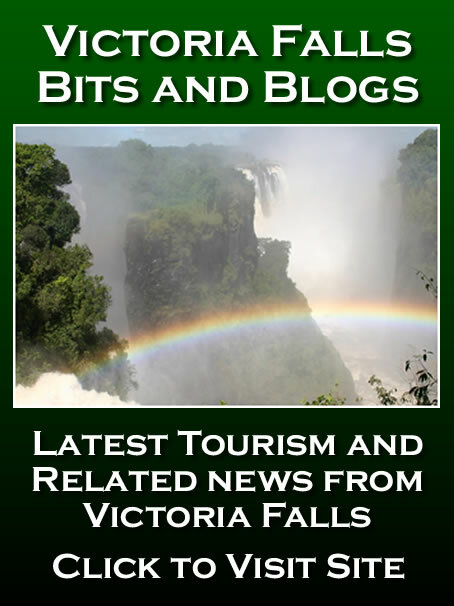 In November 1957 the Northern Rhodesia Government invited bids for the lease of a site above the Falls for a new Hotel development, almost ten years after initially identifying the land for investors. In 1962 it was reported that an American investor, Mr Rendell Mabey (an ex-Senator and president of the Utah Industries Corporation), had been found for the development. At the same time the Railway Company was considering the possible sale of the Falls Hotel on the southern bank. News of the potential sale of the Hotel, now regarded a ‘national asset,’ reached the national press in April 1958, with the Minister of Transport confirming to the Bulawayo Chronicle that disposal of the Hotel was being considered whilst denying that a deal had already been done with an American financier. A South African millionaire with American business interests, Mr Schlesinger, was named in press reports at the time as looking to develop a ‘drink-and-gamble-round-the-clock hotel on the south or north bank of the river’ (Roberts, 2016). “After considering very carefully the provision of a restaurant at the boat house on the south bank of the Zambezi it was decided, that in view of the shortage of capital funds together with the fact that we were only able to obtain a very restricted liquor licence, the project should be abandoned.” (Rhodesia Railways correspondence, 26 March 1963). Hotel management committee reports recorded that numerous delays were encountered in negotiations over the potential sublease of the landing stage site, and that during these delays, the launches and boat house were totally destroyed by a freak fire. Documents do not detail the cause of the fire and the site was abandoned. The Railway Company duly terminated the leases, held on behalf of the Hotel, for the landing stage site and also the picnic-site on Kandahar Island, bringing to an end the Hotel’s long association operating river launches and tours. Requiring an immediate replacement for their launch services, the Hotel management turned to Livingstone based Greenway Launches & Taxi Services, operated by Mr A S Sussens from the north bank, the only operator with the capacity to deliver an adequate service for the Hotel. Whilst appreciating Mr Sussens cooperation in ensuring that the Hotel suffered no disruption to its launch services for its guests, the Hotel Management initially decided it unwise to pass all their clientele to a single operator, preferring to share their business among two or more companies and encourage some healthy competition. In 1964 the Hotel’s transport and booking desk services were contracted to the United Touring Company, who were to manage and operate the Hotel’s river cruises and local tours for many years. The old crossing site originally established by Geise was abandoned, and new jetty sites developed further upstream. 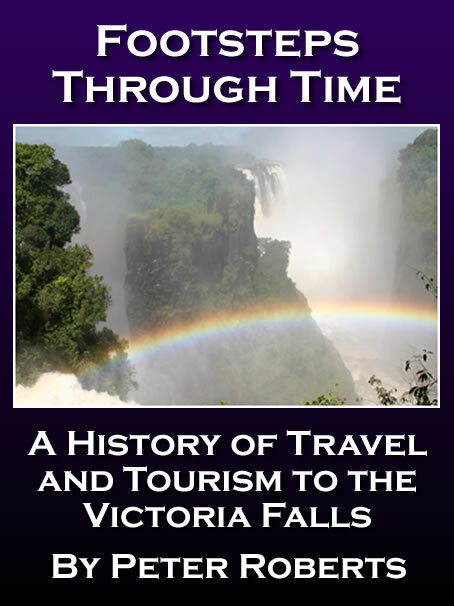 In 1962 the Falls were visited by a party of American and Canadian tourists on a luxury world cruise, travelling to the Cape on the S.S. Brasil. Instead of travelling by train to the Falls, the group toured South Africa before flying to the Falls via Livingstone, reflecting shifting travel preferences as aviation arrivals overtook those travelling to the Falls by train. 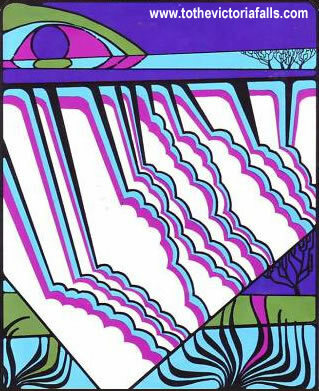 In response to an increasingly diverse tourism travel sector the Railway Company introduced Rainbow Tours in 1962, special packaged holiday deals including rail and accommodation at the Falls Hotel. The 1962 census recorded the population of the small town as 1,601 (CSO, 1964). In an effort to attract arrivals, Livingstone Station was rebuilt and reopened in 1962 at a cost of £72,000 (Rhodesia Railways Magazine, May 1962). Increasing African nationalism, particularly in Northern Rhodesia and Nyasaland, persuaded Britain to agree to the organised dissolution of the failing Federation. The ‘break-up’ negotiations, known as the Central Africa Conference, and involving delegates from five governments, were hosted in the Pullman Suite at the Falls Hotel over several days in July 1963. The Federation was officially dissolved on the 31st December 1963. Northern Rhodesia was granted independence on 24th October 1964, becoming the Republic of Zambia. Earlier in the same year Nyasaland also gained independence as the Republic of Malawi. Whilst the period of the Federation saw increased integration of tourism operations from opposite sides of the river, the break-up saw division with border control facilities developed on the southern bank in 1963 and on the northern bank soon after. Despite the inconvenience of passports and paperwork, however, Livingstone residents still regularly patronised the Falls Hotel for social events. 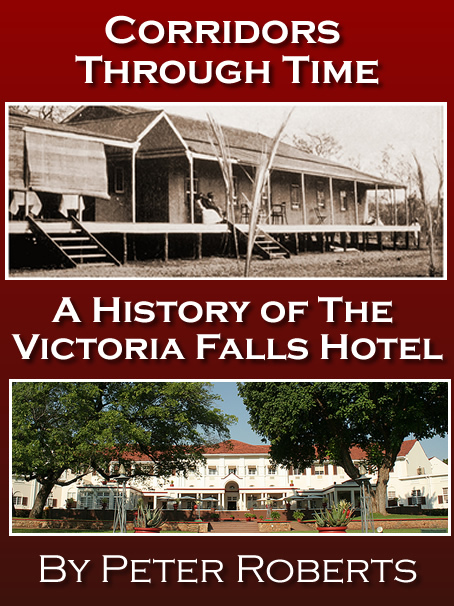 “It was a bumper New Year’s Eve at the Victoria Falls Hotel when some 650 people thronged the main lounge and verandas to see the Old Year out and the New Year in. Customs barriers certainly did not seem to have deterred the many merrymakers who had come over from Livingstone for celebrations. Following the dissolution of the Federation, Central African Airways was divided into the national carriers of Zambia Airways, Air Malawi and Air Rhodesia. A June 1965 press release from the Zambia Information Department outlined another determined push to develop tourism in Livingstone. With independence the National Museums Board was created in 1966 and the Rhodes-Livingstone Museum renamed the Livingstone Museum. In 1965 a controversial experiment was held with floodlighting of the Falls from the northern bank. The momentum for independent majority rule in Southern Rhodesia was growing. Against rising calls for democratic rule, however, the white-minority government under Ian Smith made its Unilateral Declaration of Independence (UDI) from Britain on 11th November 1965. Smith made the announcement after days of tense negotiations with British Prime Minister Harold Wilson, who was only prepared to permit Rhodesian independence on the basis of giving the black majority population a fair share of power. The British Government, Commonwealth, and United Nations condemned the declaration as illegal, leaving Rhodesia unrecognised by the international community. Economic sanctions, the first in the UN’s history, were imposed on the breakaway colony. The Zambian customs and immigration post was built on the north bank soon after the declaration. Strict visa regulations introduced by the Zambian immigration department in 1966 negatively affected tourism, with it being recorded that tourist arrivals declined by 18 percent in 1966 (Moonga 1999). Zambia Information Services (1965) Press Release, June 1965.